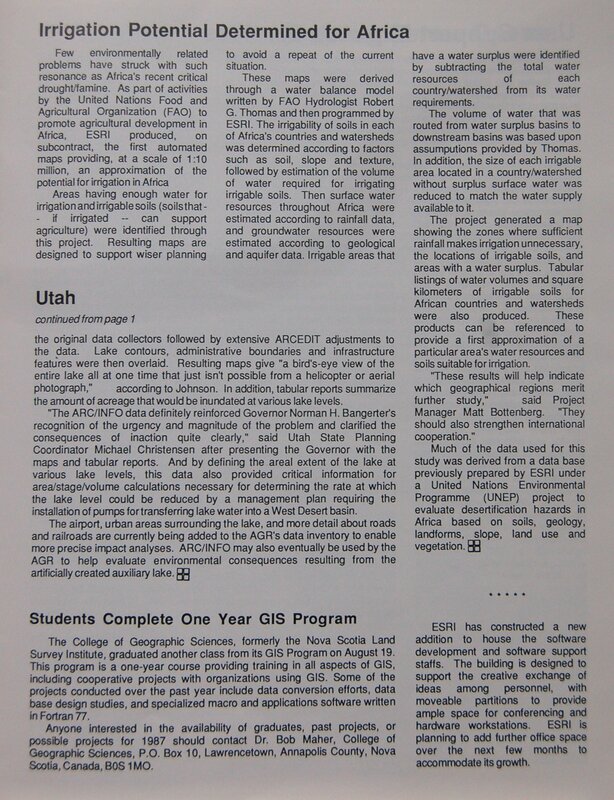 In honor of GIS Day, I pulled out the oldest issue of ArcNews I could find and am posting a copy here. 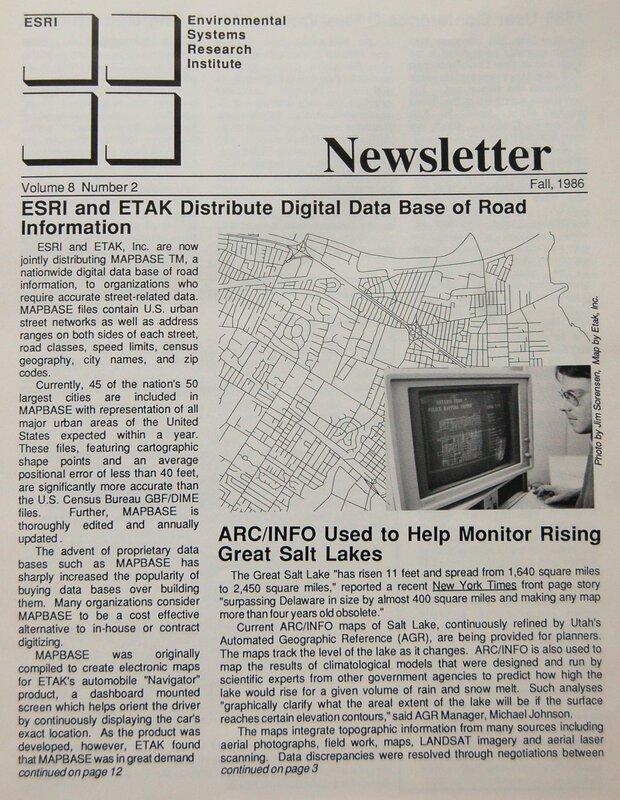 Of course, it was still just the “ESRI Newsletter” back in the Fall of 1986…I think the name changed to “ARC/NEWS” in early 1987. 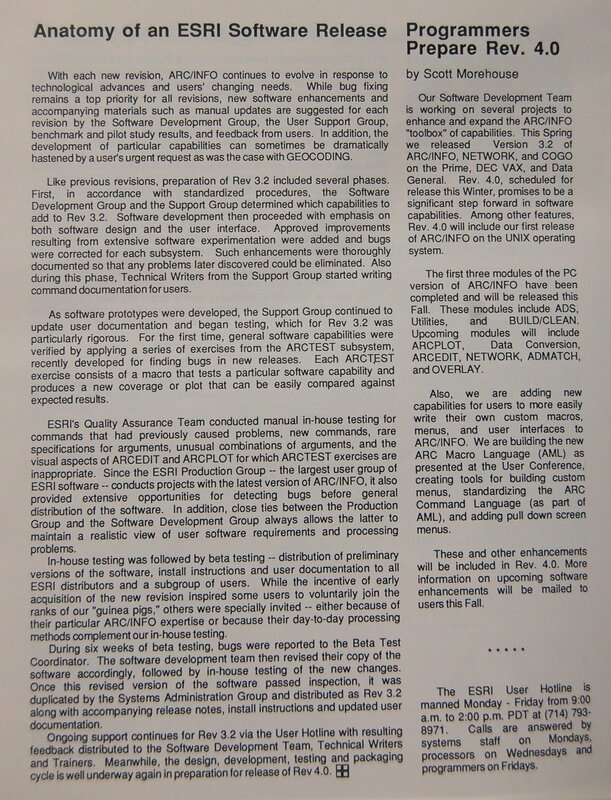 Read about the new “ARC Macro Language (AML)” coming in ARC/INFO Rev. 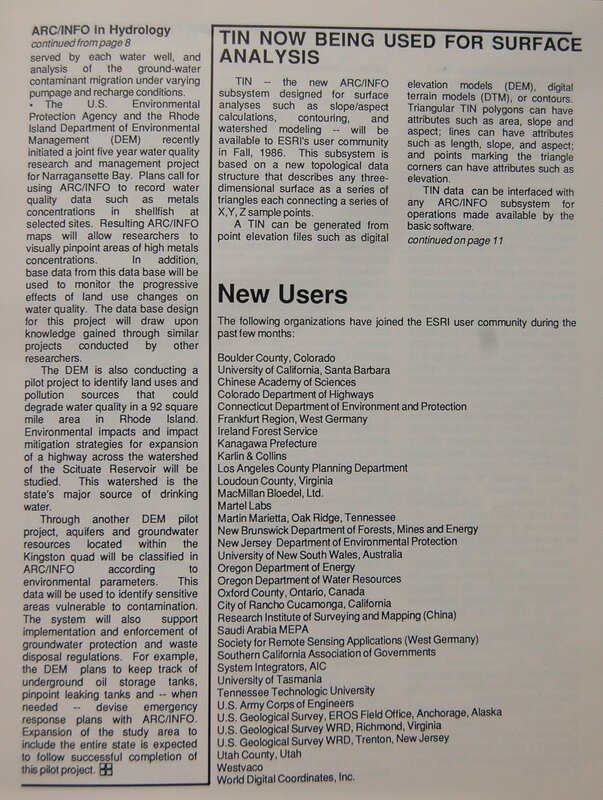 4.0…what the more than 300 (!) 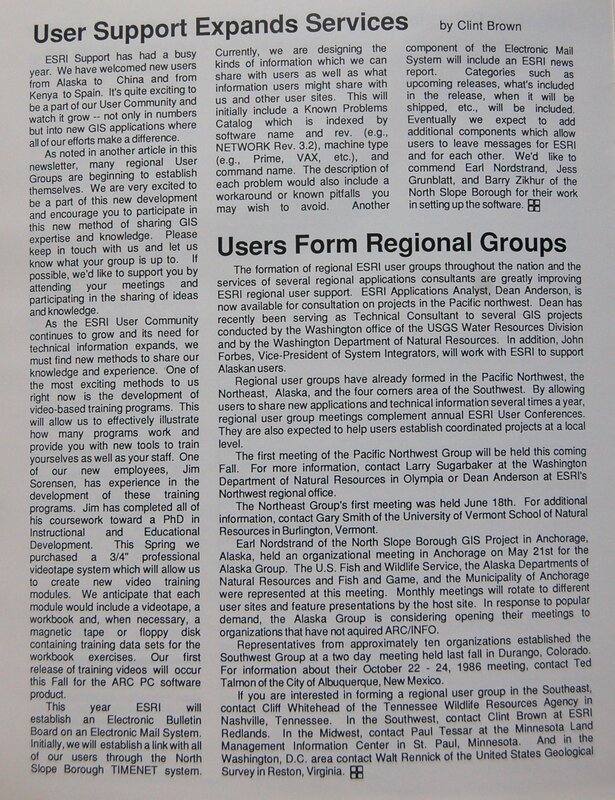 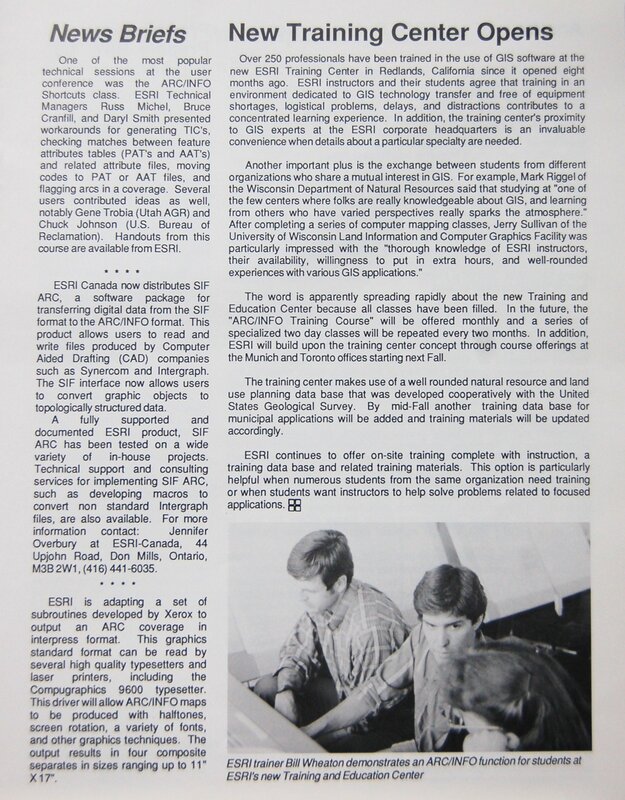 attendees at the 1986 User Conference learned…new ESRI staff (many of them still here, 23 years later)…how “Licensees receive (ETAK) MAPBASE files on a 9-track tape, 1600 or 6250 bpi, which can be read directly into ARC/INFO using a single command”…and so much more. 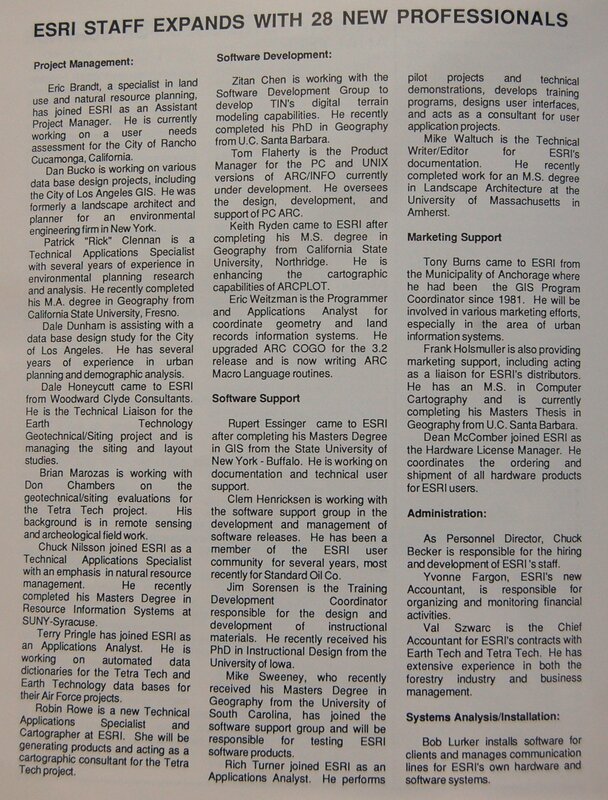 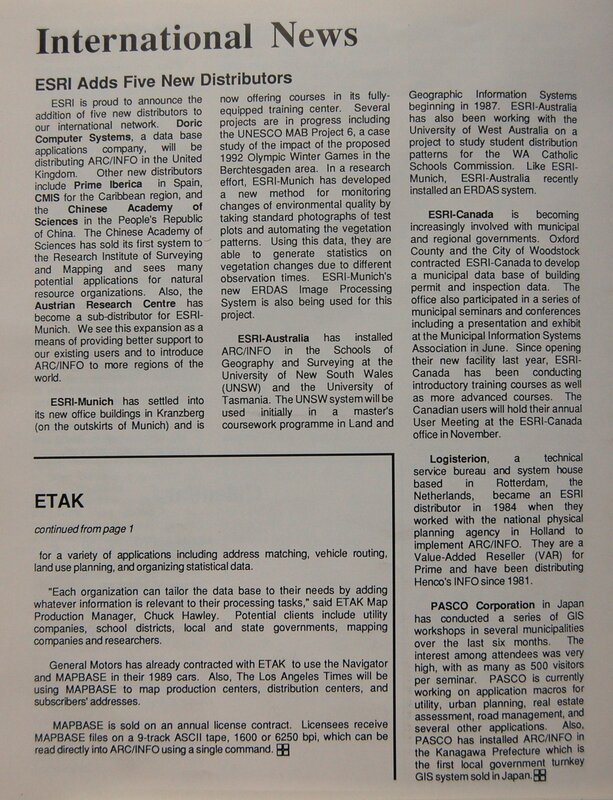 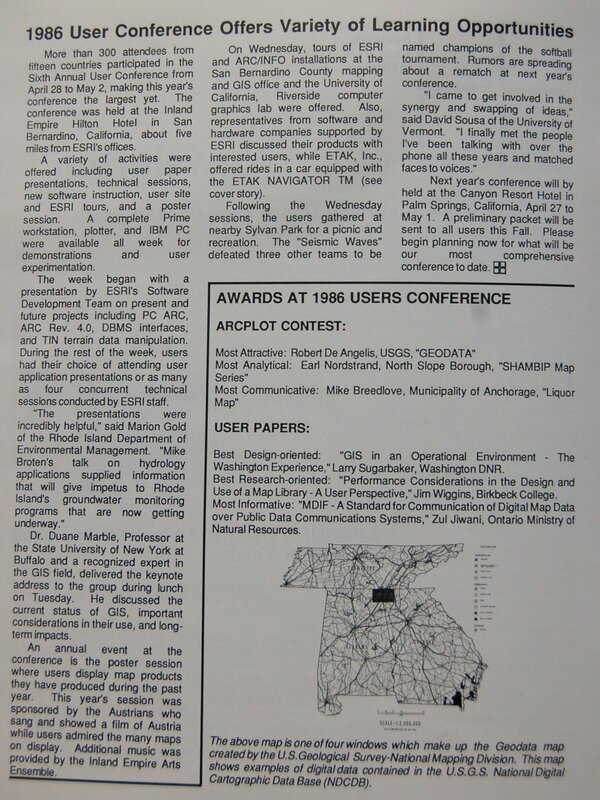 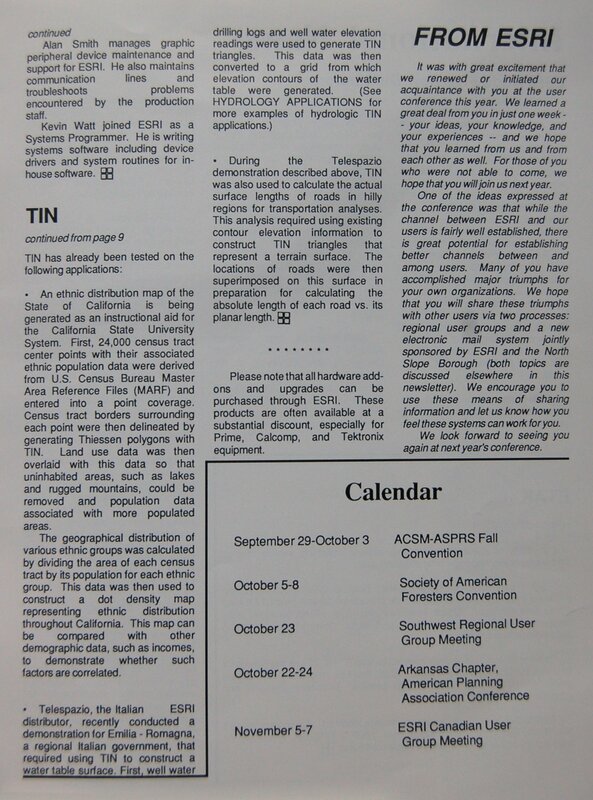 The Fall 1986 issue of the ESRI Newsletter is 12 pages long. 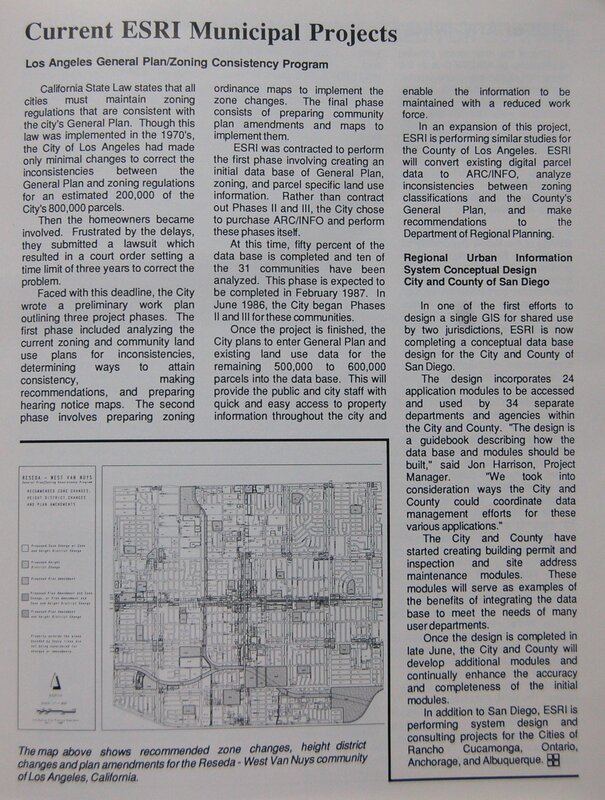 Click on a thumbnail below to view a larger version of the page. 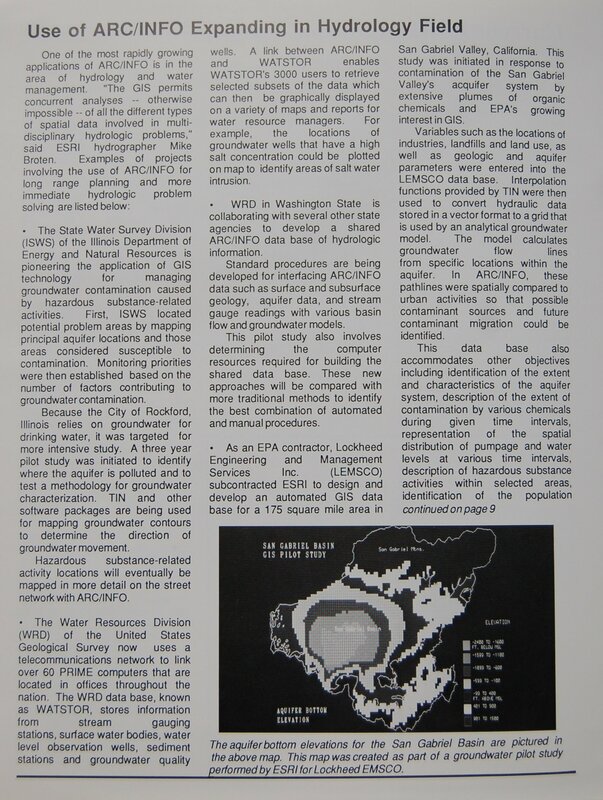 ← Geography Awareness Week: How Much Water is in the Ocean?